It's an uncomfortable image to consider: an elderly person – perhaps somebody you know – physically restrained. 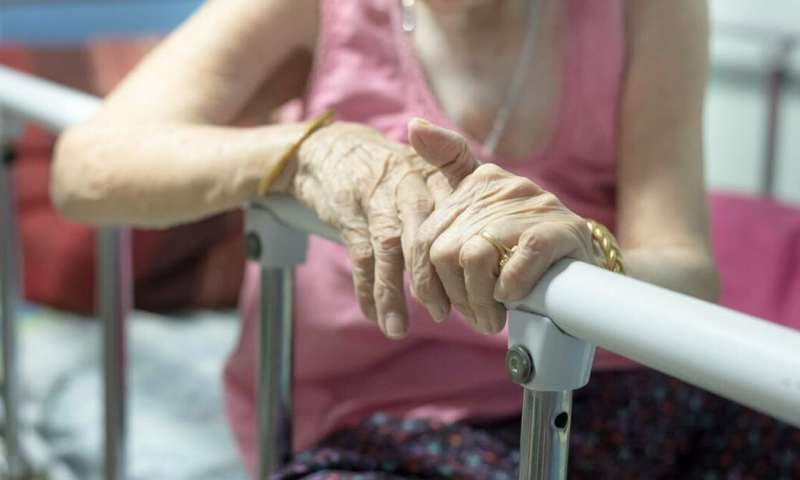 Maybe an aged care resident deemed likely to fall has been bound to his chair using wrist restraints; or someone with dementia acting aggressively has been confined to her bed by straps and rails. These scenarios remain a reality in Australia. Despite joining the global trend to promote a "restraint free" model, Australia is one of several high income countries continuing to employ physical restraint. Certainly this is a step in the right direction – but banning physical restraint is unlikely to remove it from practice. If we want to achieve a restraint free approach we need to educate the sector about viable alternatives, which aren't always pharmacological. While injuries caused directly by physical restraint could include falls and nerve injury, the impacts go beyond this. A significant consequence of restraint is its immobilising effects which can lead to incontinence, cognitive decline and a general deterioration in a person's physical condition. Physical restraint breaches a person's human rights and dehumanises older members of our community. We've also undertaken a detailed analysis of resident deaths in Australian nursing homes reported to the coroner between 2000 and 2013. This uncovered only five deaths due to physical restraint. All residents had impaired mobility and the physical restraints had been applied to prevent falls. The residents died from neck compression and entrapment caused by the restraints. Reporting often lags due to an unclear understanding about what constitutes physical restraint, and perhaps because little is forthcoming in the way of alternatives to address these residents' care needs. It's only when a death occurs that a report to an independent authority – the Coroner's Court – is made. Similar laws introduced in other countries to ban physical restraint haven't worked. In the US, there was an initial decrease in use of restraint and then a gradual return to previous levels. Abolishing the use of physical restraints on nursing home residents remains challenging because of the widespread but incorrect perception that physical restraints improve resident safety. Nursing staff report using physical restraints to guarantee residents' safety; to control resident behaviour while fulfilling other tasks; or to protect themselves and others from perceived harm or risk of liability. The first is establishing and mandating a single, standard, nationwide definition for describing "physical restraint". A universal definition of what constitutes physical restraint enables consistent reporting and comparability in nursing homes. Secondly, when there are no viable alternatives to physical restraint, any use should trigger mandatory referral to a specialist aged care team. This team should review the resident's care plan and identify strategies that eliminate the use of physical restraint. This requires improved access to health professionals with expertise in dementia and mental health when a nursing home calls for help. The harm from physical restraint is well documented, as are the potential solutions. Changing the legislation is a necessary step, but will not change practice on its own. Addressing as many of the underlying contributing factors as possible should commence alongside the government's call for tougher regulations.